Life the way you’ve always imagined it! 805 TAMARACK LANE, SUNNYVALE, CA 94086. Lot Size 6,755 Sf. Ft.
Over $100,000 in luxury upgrades! 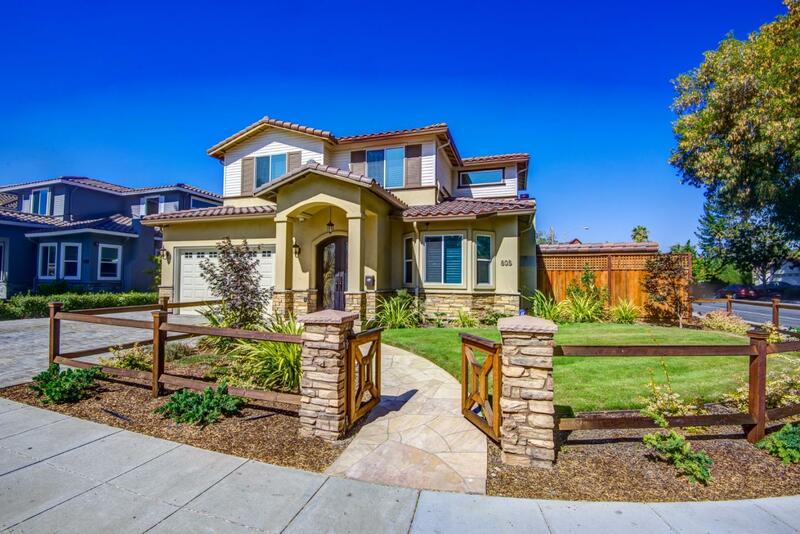 Enter this stunningly elegant one year new home in the heart of Silicon Valley. Tastefully designed to accommodate everyone’s needs. Modern and custom amenities offer comfortable two-story living without sacrificing style or quality. A spacious floor plan filled with sophistication. One of many delights in this home is an elegant & welcoming iron front door & a custom made in Italy light fixture. You’ll love the hardwood floor, custom fireplace façade & custom dining chandelier. The whole house is tinted with UV protection, reducing energy bills, and adding privacy. Granite kitchen with spacious island, beautiful windows, custom cabinets, a practical nook with custom built-in bench, your friends will be impressed with the new stainless steel kitchen appliances. Separate family room with vaulted ceiling, a master suite, a guest suite downstairs. Stylish state-of-the-art bathrooms. HD surveillance system & filter with salt-free water softener system are desirable items on every buyer’s want list. Captivating front landscape & durable high quality wooden fences that reinforce the stylish good looks of the house. Your guests will be thrilled to be entertained in the huge backyard with 2 tier 9 inch post pergola & an outdoor kitchen.